Vinyl is well known in the industry as a durable, affordable flooring option. It is easy to clean and generally warmer than stone or tile. What you might not know, however, is that luxury vinyl offers incredible design versatility. All these benefits combined have caused vinyl flooring to soar in popularity over the last several years. Especially for pet owners. The warmth and natural beauty of wood floors is an easy selling point, but wood isn’t always the best choice. Wood and water don’t mix. Moisture-prone rooms like bathrooms, basements, and laundry rooms usually end up with vinyl or tile to protect against moisture. But blending the beauty of wood with the water resistance of vinyl, Luxury Plank Vinyl allows you put the realistic look of wood anywhere in your home. This is perfect for homes with pets. Luxury Vinyl holds up well against accidents and food or water bowl spills. It also resists absorption of odor-causing liquids, meaning you have fewer lingering odors from those inevitable pet accidents. One of the main benefits of vinyl is its durability which makes it great for high-traffic rooms. It is easy to clean and maintain, and it won’t scratch or tear. Pet nails can easily do damage to hardwood floors, but with a thick wear layer, Luxury Vinyl resists scratches and tears. 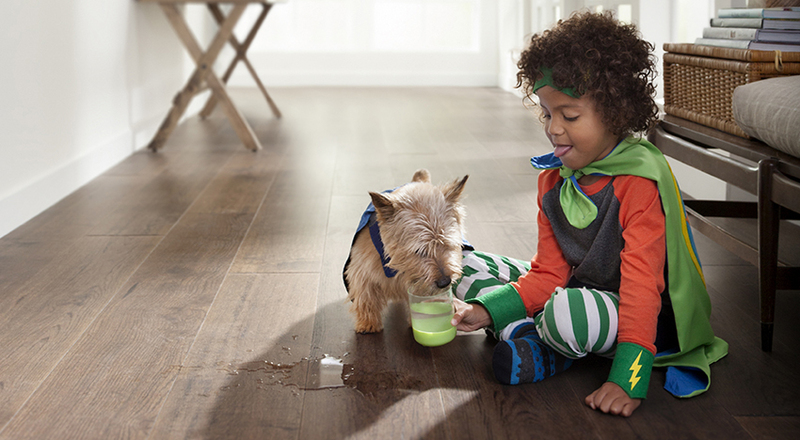 Plus, it is softer underfoot than other hard surfaces, so your pets will be comfortable walking and resting on it. 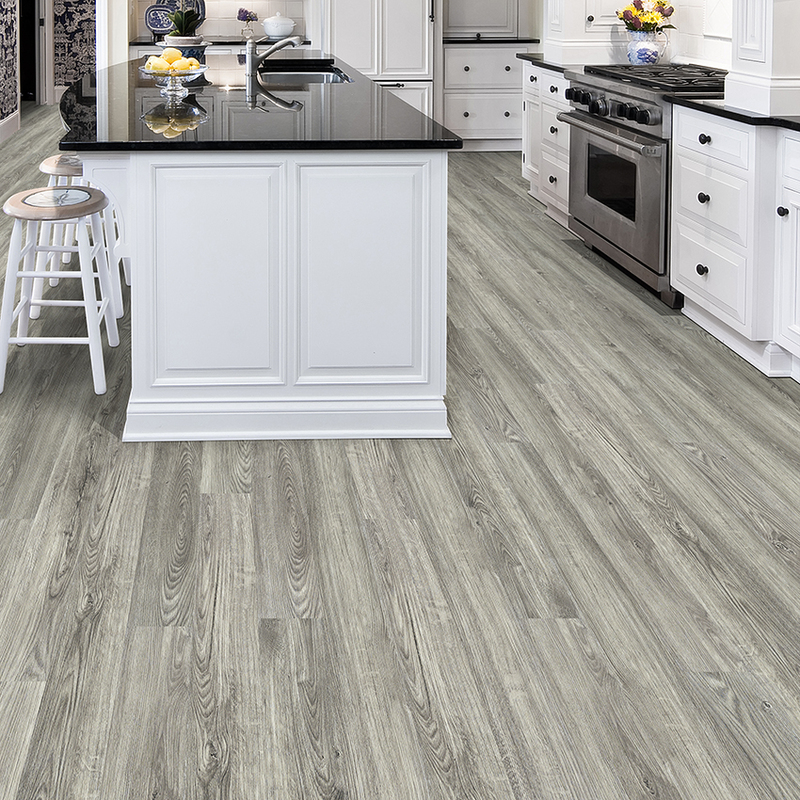 Another great quality of vinyl flooring is that it can be made to resemble other flooring types, like hardwood, stone and ceramic tile. You can create any style you want with vinyl. LVP flooring comes in planks of varying widths, which create your most true-to-life hardwood visual. A wide variety of beautiful wood looks, including oak, walnut, and exotic species, plus features like beveled edges and textured surfaces, let you match you floor with your own unique style. 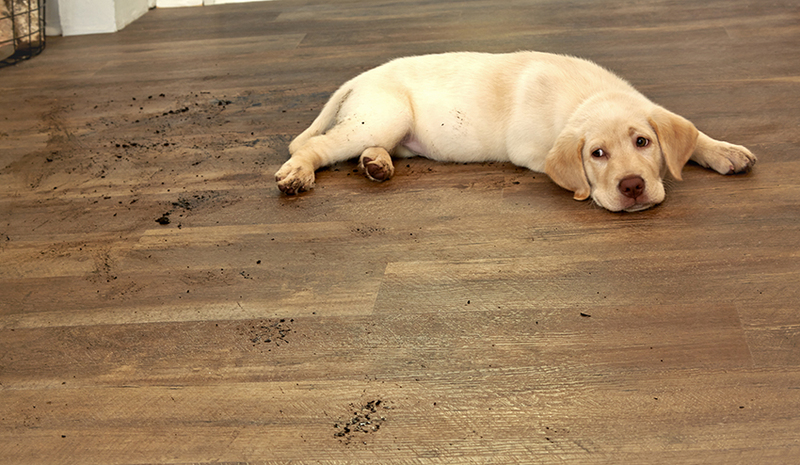 Cost, appearance, and durability are all important things to keep in mind when shopping for a floor under any circumstances, but if you have pets in your home, you have a couple more reasons to worry about durability. The good news is that with Luxury Vinyl you can check all three points off your list.